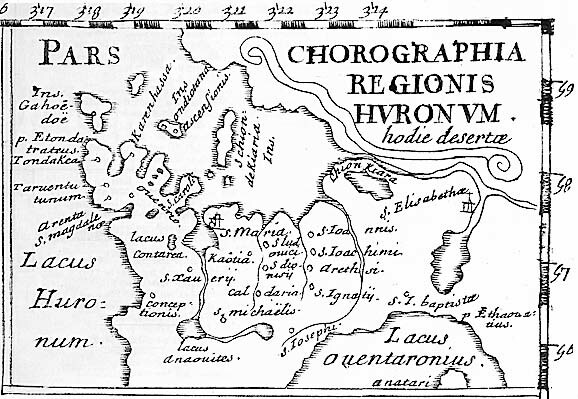 Huronia Chapter - Ontario Archaeological Society: Blog Contest - Who was Guillaume Chaudron? Q1 -Where did he die? Q3-Where might we find his remains? Q4-What priest was present at his death? Answers must be posted as comments to this post prior to our next members meeting. The first and most complete response with citations will be judged the winner. Contest is open to members and non members alike. Anyone can post comments on this blog. Winner will be awarded a 1 year membership at the Huronia Museum - Midland, Ontario. He was a shaker and mover but maybe not for the good side of things. But that does not go to say that he did not start with good intent! In 1791 he was deputy of the legislative assembly and member of the Convention. He was the deputy of the (revolution, procureur-syndic) of his district. He was sent on the first of September 1791 by the department of the Haute-Marne, to sign in at the legislative assembly with ¾ of the votes of his district as the 7th of 8 forming the majority. In 1792 as elected member of national Convention he was the 5th of 7. He was part of the (Montagne) and of (lors du process) of Louis XVI. He was in favor of death without (appel ni sursis) appeal or remorse. He was convinced that the Crown could not continue to be if they gave in to the (Republique) He did missions to the (Pyrenee-Orientales). He established the fist young boys (8 to 16) military schools, giving them a flag (espoir de la patrie) which would have promoted paytreisum, but at the same time he was declaring any parents as suspicious if they would not register their children to the control of this schools. In the mission of the (Haute-Garonne) at high noon he enforced measures that contributed to the suppression of problems against the powers of the time in villages such as Bordeaux, La Lozère and l'Aveyron and had the members of the « Commission populaire » sent to the revolutionary tribunal. After which he was elected secretary of the Convention. Guillaume tried to justify himself and the authors of the May 31 act,with his accusations of a plot to replace King Loui XVI with his son at the throne. In April of 1795 after the collapse of the Montagne party Gillaume Chaudron Bordeaux was arrested and imprisoned. He was then relist an appointed by the government as consultant under the inspector of forestry for Bourbonne-Les-Bains till Restauration where the law (d’amnistie) on the 12th of January 1816 forced him to leave France. Guillaume Chaudron Bordeaux died in 1818 at the age of 66 and not 1816 at 64. This is my logic if the law of amnesty is recorded as being 1816 and he had to run and then died a cople of years later then it has to be 1818 and not 1816!!!!!!!!!!!!!!! Nice effort Gary but the Guillaume I am talking about died in Huronia. dead was very important to Amerindian people (Sioui 1992:58-59). OK - so now you have the right guy - as to the date of his death there is some contradictory statements and as to the name of the village where he was returned and died, there is no record of a village by the name of Ossossane at that time. Clue - What was the Wendat name for the village of St. Gabriel? According to Trigger, he was a servant of Champlain's. Given the nature of European hierarchical society in which some people had greater value than others, he had little status. That was just the tip of the iceberg of the incomprehensibly uncivilized values Europeans were foisting upon the Iroquoian and other peoples.